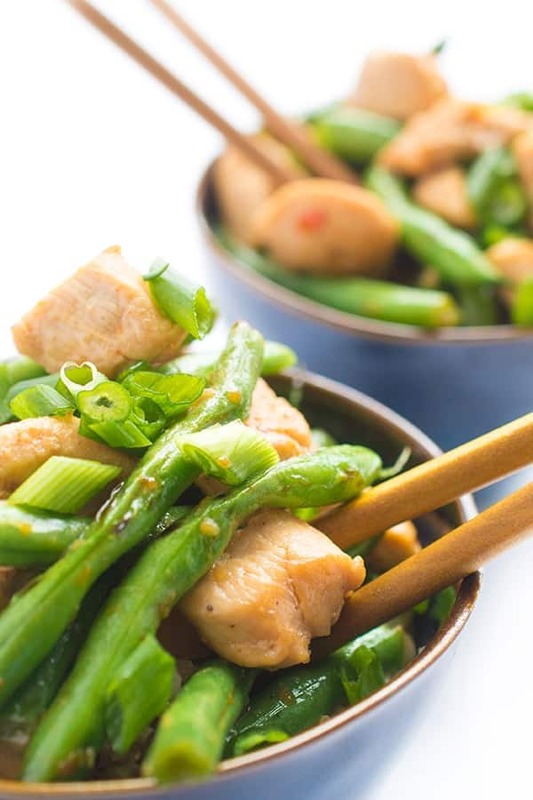 A fast, easy and healthy dinner recipe, this flavorful Chicken and Green Bean Stir-Fry comes together in just 20 minutes! 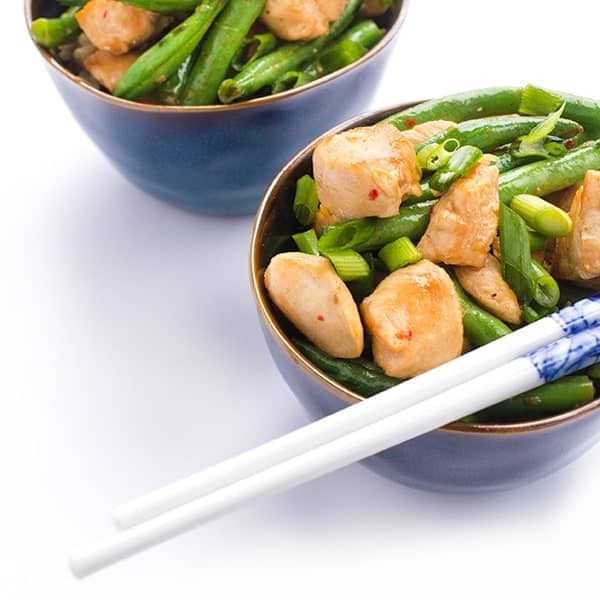 Hands down, one of our weekly go-to recipes is always some variation of an Asian stir-fry. 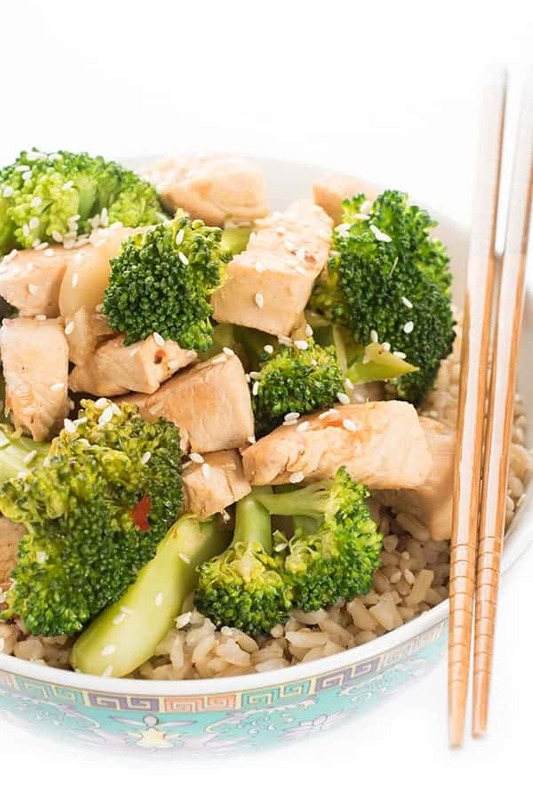 Fast, easy, and full of protein and other nutrients, you really can’t go wrong with stir-fry, am I right? With spring right around the corner, green beans are looking better and better and will only continue to be readily available as we head closer towards the summer months. Of course, green beans can easily be swapped for asparagus, carrots, red peppers or any other crunchy veggie you happen to have on hand. That’s the best part about stir-fries, they can turn almost any vegetable into something magical. My biggest piece of advice is to always keep a well stocked Asian pantry so that you’re never more than 20 minutes from a fresh, fast, easy and delicious dinner. Pre-heat a wok or deep frying pan over high heat and spray with cooking spray. 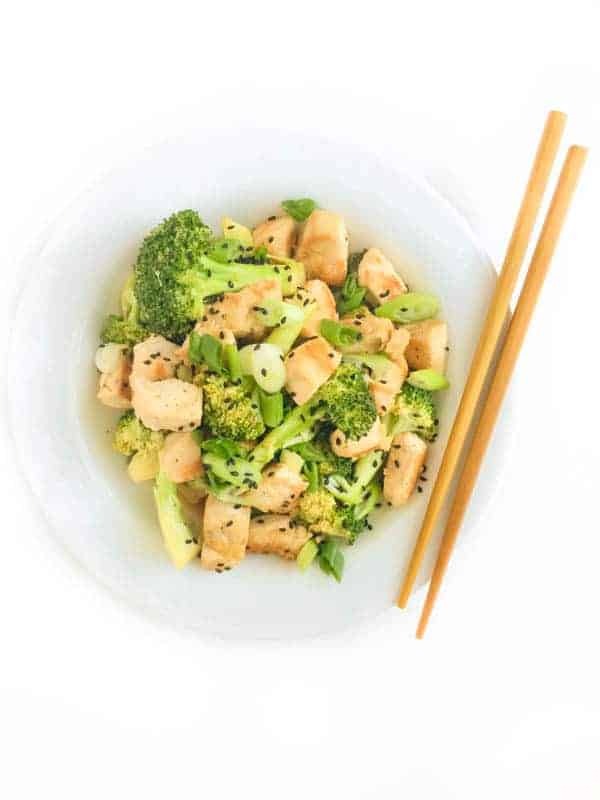 Sprinkle chicken cubes with salt and pepper and stir-fry until brown, about 7-9 minutes, stirring frequently. Remove chicken from wok and set aside. Add green beans to the pan and toss until they start to soften, about 2-3 minutes. In a small bowl, whisk together all remaining ingredients: chicken broth through chili paste. Pour mixture into the wok and bring to a boil then reduce to simmer. Stir-fry until green beans are tender. Add chicken back to the wok and toss until heated through. Sprinkle with scallions and serve over brown rice if you wish. Serving size is 2 cups and nutrition facts don't include rice. More Healthy and Easy Dinner Ideas are waiting for you! I made this for dinner tonight…so tasty! I used thighs and Instead of rice wine vinegar I used one tablespoon of Shaoxing cooking wine. Delicious flavors! Will definitely make this again and try with different veggies. Thank you for sharing! oooo that sounds amazing! so glad you liked it! I made this just barely following the recipe for guidance and it was just fabulous. I often dont have all the ingredients but make due. I’d make this again. Everybody loved it. Just made this for dinner tonight. I used sugar snap peas and chicken thigh. Yum! 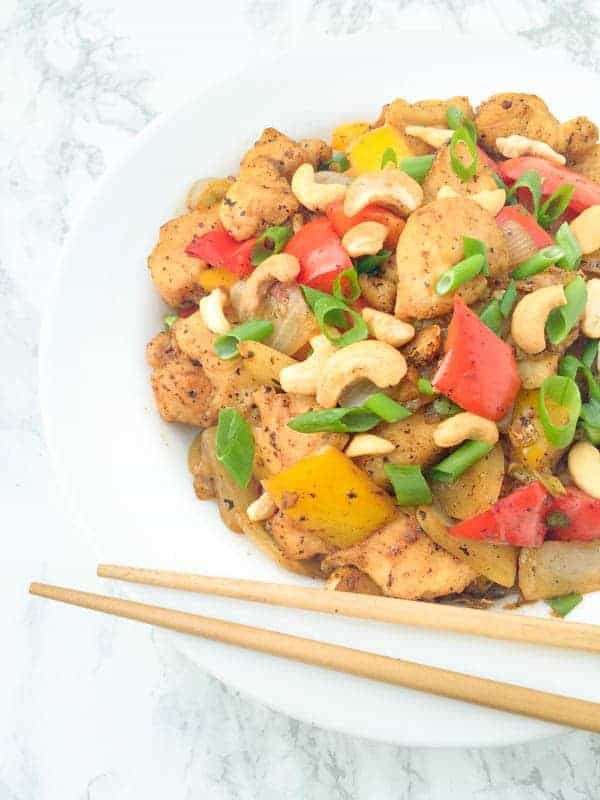 Stir-fries are great weeknight meals because they’re so easy! Love the green beans in here! What, if anything, can I sub for the chili paste? how much is the serving size? 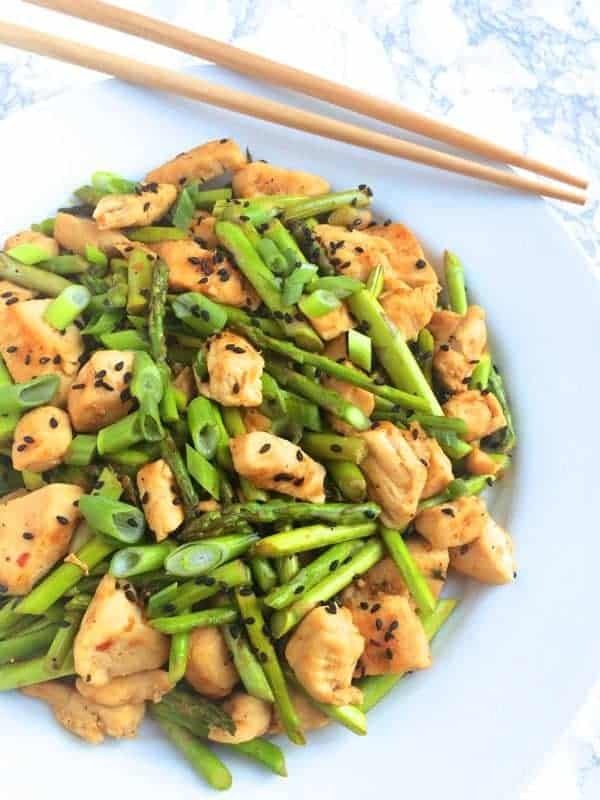 Do I use just regular sesame oil or toasted sesame oil? Will be making this tonight! I prefer toasted but either works! Used toasted. It was great. Thanks for the recipe. What ingredient can substitute the hoisin sauce? Can it be left out? Thank you. You can definitely leave it out or just use oyster sauce! Thank you for the nice recipe, Liz. Such a healthy and seasonal recipe, I love it Liz!! Stir fry is the BESTTTT. Isn’t stir fry the best?? Thanks lady!